Making sure you’re on the same financial page with your partner. … And as unromantic as it may seem, finance needs to be a key part of the decisions you make before you move forward. Getting on the same financial page early on helps ensure the success of your relationship – especially given that money problems are a leading cause for divorce and separation. So you have to talk to your partner about money and your financial perspectives if you really want to have a long-term relationship. 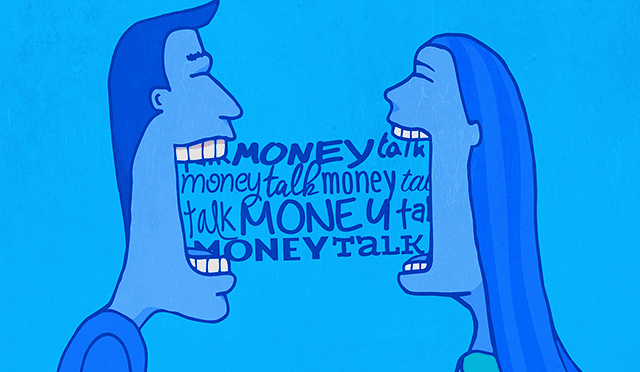 The information below gives you eight key topics you should cover in the conversations you have with your partner about money and finance. The sooner you address these potential issues, the less likely you are to face conflicts about your finances in the future. If you have questions or you need help eliminating debt so you and your partner can start a debt-free life together, we’re here to help. Call Consolidated Credit today at 1-888-294-3130 to request a free, confidential debt and budget evaluation with a certified credit counselor. You can get credit counseling together or separately – whichever option works best for you both. This should be the first topic you talk about, because how you manage your money day-to-day has a big impact on every other aspect of your finances, and the daily management of your money can cause a lot of friction in your household if both partners aren’t on the same page. Are you a debit and credit user or do you prefer ATM withdrawal and cash purchase type of person? Do you have a formal budget that accounts for all of your income and monthly expenses? Do you have set amounts of money you allocate for specific recurring purchases, such as setting a spending limit on dining out or entertainment? How do you like to keep track of your expenditures throughout the month? Do you track them daily, total them up at the end of the month, or do nothing? Do you tend to spend and allocate all of the money you bring in or do you have extra money in your account, also known as free cash flow? Conflicts over debt often arise in relationships, so this topic is essential. If you don’t have a cohesive debt management strategy then you can wind up causing tension or resentment. One partner may feel like they’re doing all the work to pay off the debt while the other just spends and charges. Instead, you need to talk about debt – both how it’s incurred and how it’s paid off. 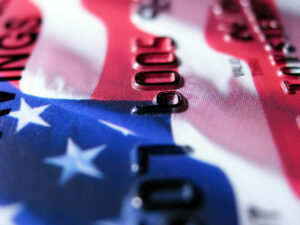 Do you use credit cards for large purchases, everyday purchases or only in emergencies? Are you a fan of early repayment on debts, even on loans like your auto loan or mortgage? Do you want to even be a homeowner and own property? If so, do you want to use properties as investments or just have a primary residence to call your own? What is your personal debt-to-income ratio? What’s your strategy for taking on new debt and lines of credit? Which credit cards do you use and why? Do you want to get credit cards together or maintain your own accounts individually? Your credit rating is important, and depending on how you move forward in your relationship, your credit can have a major impact on your partner’s credit, too. Your collective credit scores will also have an impact on your life goals, such as your ability to buy a home by qualifying for a mortgage. Important Note: Contrary to a common misconception, your credit scores never “combine” into one score, even after you get married. You still maintain your individual scores, but any accounts you hold jointly will impact both partners’ credit profiles. What are you and your partner’s credit scores? How often do you review your credit report to check for errors? Do you check your credit report or score before applying for new loans or lines of credit? What’s the worst negative item you’ve ever had on your credit profile? Was it a bankruptcy or foreclosure, a collection account, an overdrawn credit limit or a charge off? How long ago did it happen? Do you monitor your credit with a free or paid credit monitoring service? Discussing savings and the way you both like to save money is critical, because it will have a huge impact on your ability to reach your life goals as a couple. It can also determine how prepared you are to handle financial disruptions and unexpected life events like a layoff or emergency car repair. Your savings is your financial safety net and your financial lifeline for the future, so you and you partner need to be in synch. Do you set aside a set amount of money or percentage of your income every month or every paycheck? If so, how much? 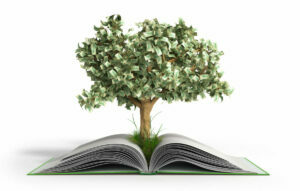 Do you have a savings account or Money Market Account (MMA)? If so, do you maintain a certain balance or take money out whenever it’s needed? Do you have any other savings or short-term investments? If you were laid off, how many months could you go on savings to cover your bills and other monthly expenses? Do you like to save up for major purchases and things like vacations instead of putting them on credit? Following right along the conversation about savings, another major topic you need to cover as you get serious is about retirement. This conversation should actually be about more than just your assets. You also need to talk about your retirement dreams and goals to make sure you’re on the same page. After all if one partner wants to travel the world starting at age 65 and the other can’t imagine giving up work entirely, this can definitely cause conflict. Once you retire, do you want to not work, work part time or find something less rigorous, such as a consulting position? Do you want to move once you retire? If not, are you working to pay off your mortgage in-full before you retire? Do you want to travel during retirement? What kinds of hobbies or interests do you want to pursue during retirement? Do you want to go back to school and if so, how do you plan to pay for it? Do you have retirement investment accounts like a 401(k) or IRA? Do you have other long-term assets or things like annuities to supplement Social Security income? This topic focuses on how you pay for basic services and manage your bills. It may not seem like a big deal, but the habits you’ve developed for daily money management can have a significant impact on the peace and serenity in your household. So you need to get organized together and make a plan – particularly for who pays what and how to balance the bills if you have separate accounts. What are all of your monthly obligations and how much money does each take, on average? How do you pay your bills? Do you mail payments, use money orders, pay manually online or set up recurring payments? When do you pay bills – when they’re received or when they’re due? Do you have money allocated for expenses like new clothes in your budget or do these expenses come out of savings or free cash flow (or do they go on credit)? Do you have a set budget for food and groceries? How often do you comparison shop on things like insurance and service providers? Do you pay for a lot of monthly entertainment streaming services? If so, which ones do you use? How and where you bank may also have an impact on your financial life as a couple. This topic may come up several times throughout your relationship as your life together evolves. For instance, you may agree to keep your accounts separate and use whatever banks you used when you were single once you move in together, but then you may decide to consolidate to joint accounts after you get married. If you use a credit union but your partner doesn’t, could your partner benefit if you can foster them in as a member? Do you use online bank services or mobile applications? How often do you check your balances? What’s the minimum balance that you’re comfortable having in your main checking or banking account? The final topic you should chat about is how you deal with healthcare and health-related costs. This is usually more important as you work towards marriage, since policy enrollment can be impacted by marital status. 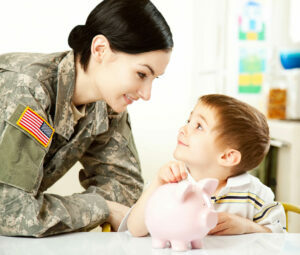 You should also include long-term concerns in this discussion, such as life insurance. Do you have health insurance through your employer or privately? How much do you pay out of pocket for things like prescriptions? Are things like emergency care and ambulance transport covered by your policy? Do you get any benefits or rebates for preventative care? If so, do you take advantage of them? Do you go for yearly checkups with a doctor, OB/GYN and dentist? Do you have or need vision care? If both of you are covered, will you keep insurance separate even after you marry or switch to one partner’s policy? If you’re staying separate, how will you handle covering children?